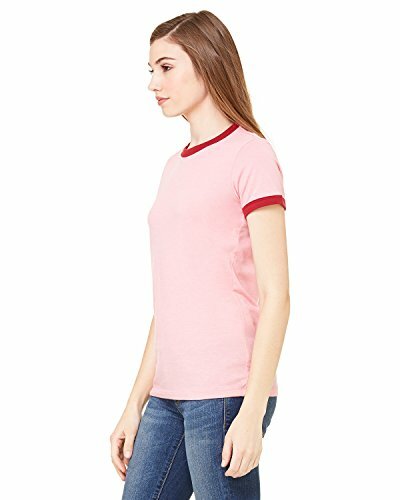 A vintage-inspired take on our Keeper tee, featuring contrasting ringer detail that adds a pop of color. Made to live with you and live better over time. 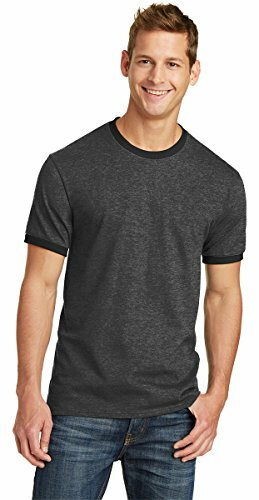 A great style for any generation-available at a tremendous value, 6.1-ounce, 100% cotton, Double-needle hem, Athletic Heather/Black is 90/10 cotton/poly, Adult Sizes: S-4XL. 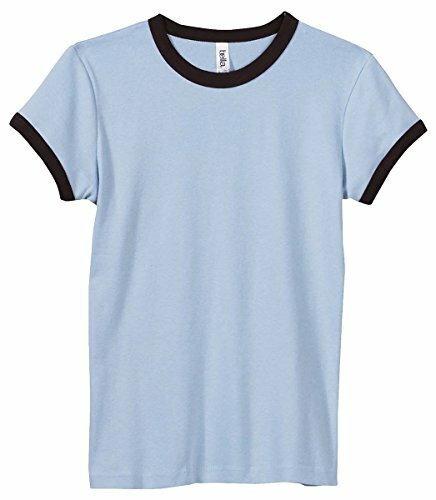 An extra soft classic ringer at a great value, 5.4-ounce, 100% cotton, 50/50 cotton/poly (Heathers), 50/50 cotton/poly (Heathers), 50/50 cotton/poly (Heathers). 4.2 oz. 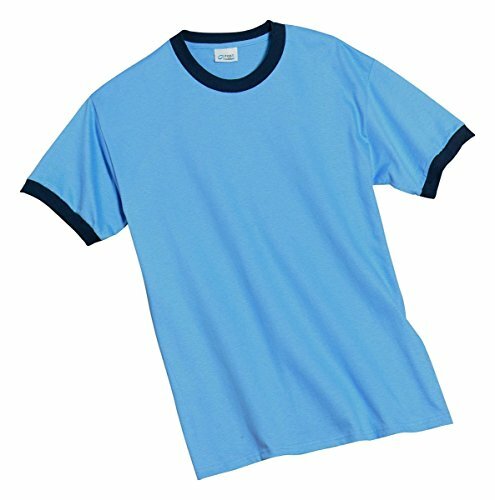 52% combed and ringspun cotton 48% polyester . 30 singles. 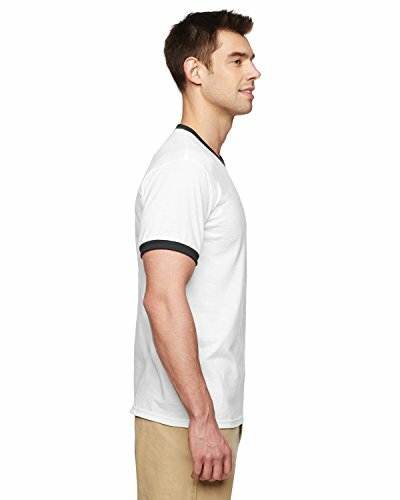 retail fit contrast ringer binding on sleeves and neck line. sideseamed. 4.2 oz. 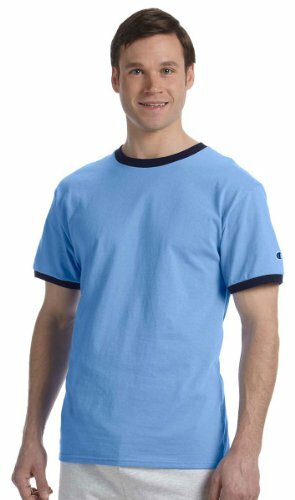 52% combed and ringspun cotton 48% polyester. 30 singles. 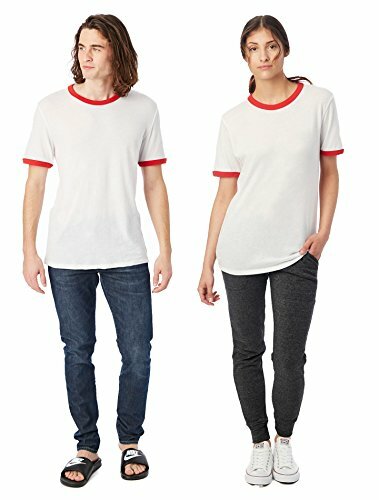 retail fit contrast ringer binding on sleeves and neck line. sideseamed. White/Black is 100% combed and ringspun cotton. 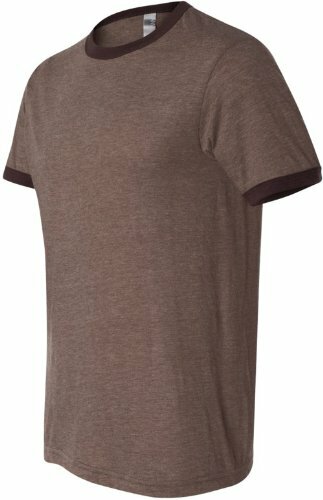 50% cotton 50% polyester. 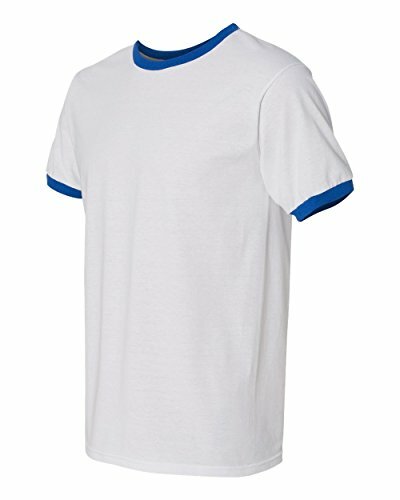 DryBlend technology delivers moisture-wicking properties. seamless ?" collar . taped neck and shoulders. 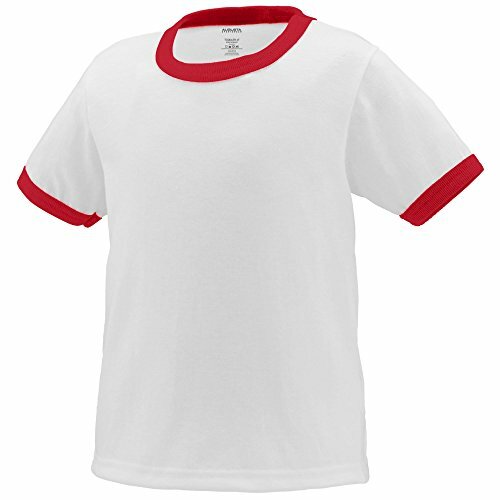 heat transfer label contrast neck and sleeve bands. quarter-turned to eliminate center crease. double-needle hem bottom.